In the new administration, housing programs will feel the pressure of budgetary cuts and tax reform. Advocates should be careful not to put down other programs in the process of defending their own, or everyone will lose. Since the general election, many in the affordable housing and community development fields have expressed concern that both impending budget pressures and tax reforms will be disastrous for programs that provide affordable housing. It might be easy to assign these challenges to the outcomes of the national election and an assumption that there’s a lack of support for housing and community development by the majority party. The reality is that despite tremendous progress and success in our work, we still have not built strong enough political will at the national level to adequately respond to the country’s affordability and community development challenges regardless of which party is in the majority or in the White House. And yet, in this administration, there is going to be increased pressure across the full spectrum of affordable housing programs. If we are not careful, this could lead to a segmented, narrow defense of each program by different coalitions that could end up working against one another. This is especially easy to do in an environment where funding for housing affordability has fallen steadily further behind demand over the past two decades. Early in my career I observed that in order to get attention for the issues we were most passionate about, or as a response to funding cuts, housing advocates sometimes emphasized their differences from or even denigrated parts of the affordable housing spectrum. This could come in the form of homeless advocates emphasizing the need for short-term rental assistance over rental-production programs, or Low-Income Housing Tax Credit (LIHTC) advocates emphasizing that program’s “efficiency” when compared to U.S. Department of Housing and Urban Development (HUD)/Department of Agriculture (USDA) programs, or homeownership advocates arguing that rental housing traps people in low-income communities. I have personally heard these arguments from the mouths of dedicated and well-meaning advocates and practitioners at the local, state, and federal levels. Happily, I have also witnessed the opposite when people who work in each of those areas spoke positively about the full housing spectrum, how it all works, and the funding needed to improve neighborhoods, communities, and individuals and families. I have also heard much more of this kind of messaging from national organizations in the last few years. 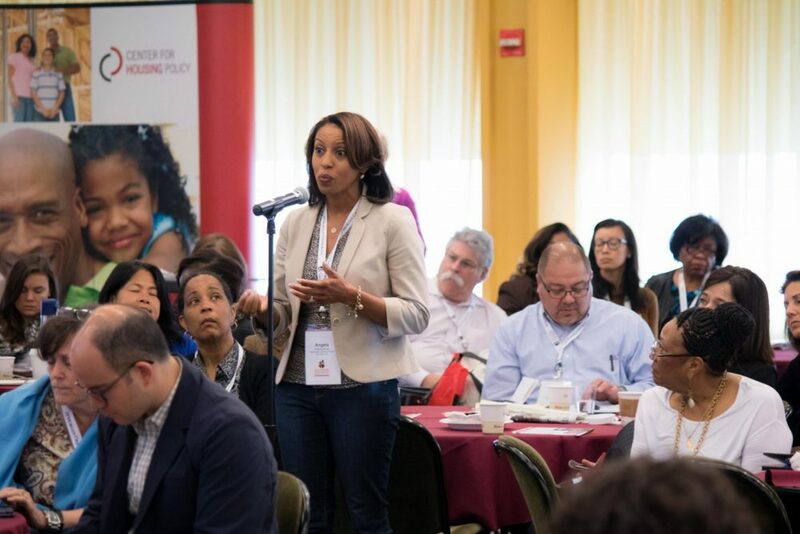 I hope that everyone would understand that in order to achieve the kind of public support and political will needed to secure funding to adequately respond to the nation’s housing challenges, we need everyone speaking positively about these connections and successes at all levels of housing. As president and CEO of the National Housing Conference, I was especially pleased with the conversation at our legislative outlook plenary at the Solutions for Affordable Housing convening last December. We had an excellent group of panelists, who represented perspectives from across the continuum: David Gasson of Boston Capital; Cy Richardson of the National Urban League; Nan Roman of the National Alliance to End Homelessness, and Christopher Ptomey of Habitat for Humanity. All of the national leaders emphasized the interconnection between programs in their advocacy to legislators and were great models for all of us in this work. Even if we perfect our messages around the important cross-sector benefits and work together to support the full housing continuum, that will still not be enough to build adequate public support, political will, and funding. That’s because far too often, especially at the state and federal levels, the only people doing the advocacy for affordable housing are the developers, syndicators, and agencies administering these programs. While all these groups certainly should be involved in advocacy and education efforts, we are still missing an important ingredient to change the narrative, perception, and power of this work—the residents themselves. Even when residents have been involved, most regularly around ending homelessness and promoting entry-level homeownership, there’s often too much emphasis on the personal transformation of the individual without acknowledging the programs and staff that also made it possible. Traditionally there has been a lot of resident involvement regarding public housing and project-based developments because there was some funding for resident organizing. However, the vast majority of the efforts I have seen are oriented toward problems in these developments (which should be highlighted and addressed) and not toward supporting the value and benefits of this housing stock and funding. There is going to be increased pressure across the full spectrum of affordable housing programs. If we are not careful, this could lead to a segmented, narrow defense of each program by different coalitions that could end up working against each other. Engaging and empowering residents is not easy, or simple to do. But there are some tremendous examples out there, especially the work the Center for Community Change is doing to organize residents of tax credit properties on the West Coast as grassroots advocates for the spectrum of affordable-housing programs. Residents plan and organize advocacy efforts to speak out in support of affordable housing at the local level. They have also been active in supporting local and state funding initiatives that have successfully increased resources for affordable housing production. If we are going to change the affordable housing narrative (for example, get rid of the idea that it is only for people who don’t work), it is vital that we fully harness the power of having the people who benefit most from affordable housing programs (especially in rental housing) be the faces and voices of our advocacy and education efforts. All of this is not to say that everyone in the field must agree on every policy point or not focus on their area of expertise. We can come together under a broad, big tent to see our common interdependence and interconnectedness. Within those themes and goals, many coalitions and efforts can be developed to educate and engage policymakers from both parties and the public about why this work is so vital to economic sustainability and community well being. While there is much political uncertainty at the federal level, housing affordability challenges are finally beginning to penetrate the political consciousness in most cities that are growing in population, and we have begun to see more focus from local politicians on these issues. The challenge will be for these cities to move beyond the partisan blue/red labels and work in broad coalition with one another, framing themselves as engines of economic growth, entrepreneurship, finance, and opportunity that are vital to the national economy and all regions of the country. Likewise, affordability, housing quality, stability, and community development are also significant issues in more rural and exurban settings, as well as in cities that are experiencing economic and population decline. These regions cut across blue and red state divides and create opportunities for coalition building from different states that can bring legislators from both parties together to see affordable housing and community development efforts as vital infrastructure. There is no doubt that both difficulties and change lie ahead for this work at the federal level. How we respond to both threats and opportunities, and how we position our work to be more successful, better understood, and more supported, is up to all of us. I remain hopeful that there is a path forward, one that brings us together, not apart, and one that includes those who experience these challenges firsthand. Chris Estes is the president and CEO of the National Housing Conference. Is there anything that you can do to help us REVITALIZE our community? I live in a community that was tested positive for LEAD. You can check it out it’s in East Chicago, In., the community is Calumet. The (West Calumet Complex) is scheduled for demolition once HUD gets funding. Secretary of HUD Ben Carlson was here a few weeks ago, Check out our Facebook page (Calumet Lives Matter) you can see what we are going thru. My name is Sherry Hunter, President of Calumet Lives Matter, I can be reached at (sjehunter@aol.com).